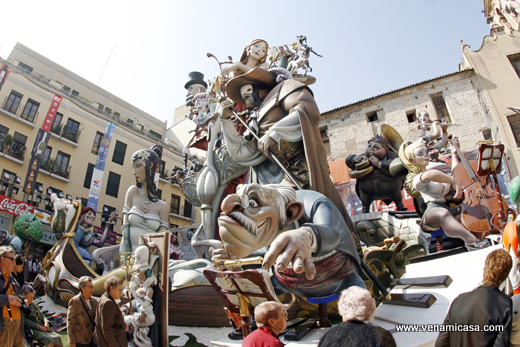 The Fallas festivals of Valencia, Spain (1st-19th March), is without a doubt, a unique and universal festivity that no one should miss, are a high point of the year in Spain. 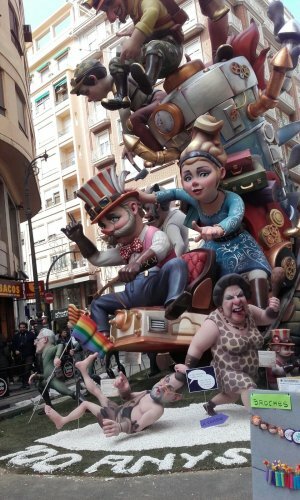 With thousands of light bulbs strung in garlands and hanging from columns, Valencia, in all its vivacious splendour and amidst the eager revelry of its people, stages the most spectacular of festivals: Las Fallas, your kind of event!, a loud, high-spirited fiesta where the whole town is literally set ablaze!! 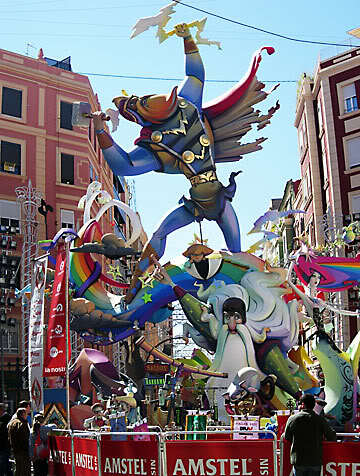 Las Fallas is undoubtedly one of the most unique and crazy festivals in Spain. 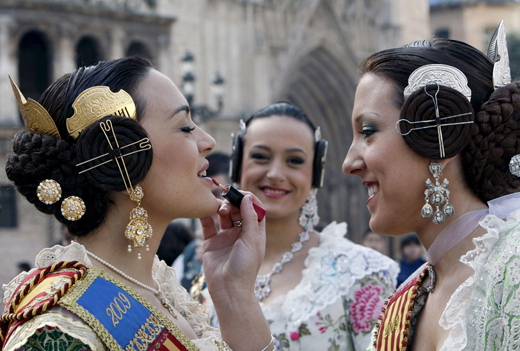 Our country is known for its unique and odd fiestas. Everyone who has to see the Fallas at least one in a lifetime -an extraordinary fiesta held in the streets to the sound of marching bands taking all the streets and fireworks, the smell of gunpowder mixed with hot chocolate and fritters, and countless parades with everyone in traditional costumes. 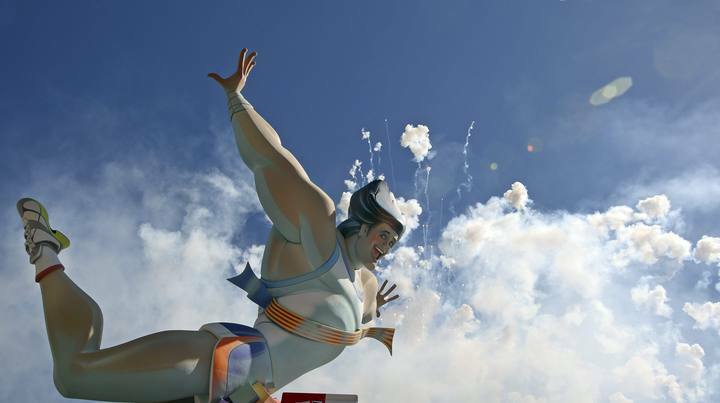 Valencia, with a population of just over 1 million, swells to an estimated three million flame-loving revelers during Las Fallas celebrations. 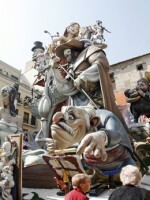 Las Fallas literally means “the fires” in Valencian. 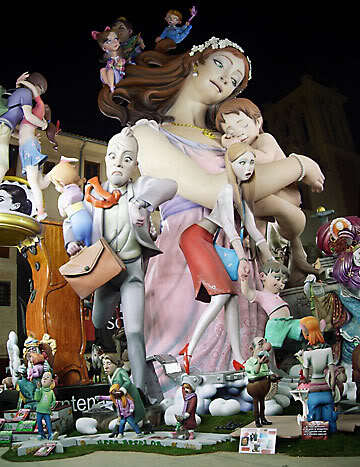 The Fallas of Valencia are distributed throughout streets of the entire city. 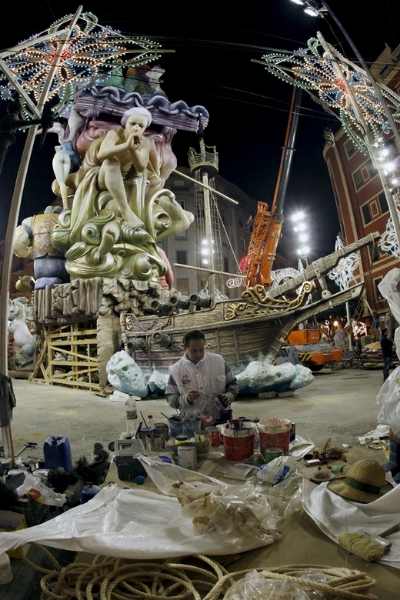 The focus of the fiesta is the creation and destruction of ninots (“puppets” or “dolls”) which are huge cardboard, wood, paper machè and paster statues. 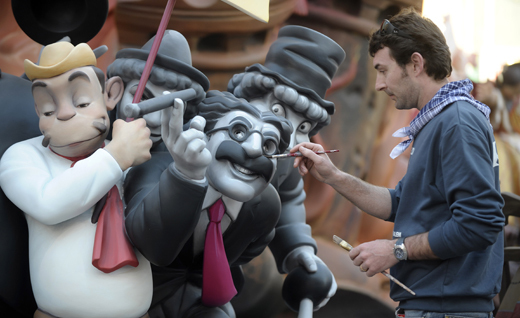 The ninots are extremely lifelike and usually depict bawdy, satirical scenes and current events. Art and humour coincide in hilarious-looking ninots of Fallas figurines that daringly criticize current customs, traditions and fashions. 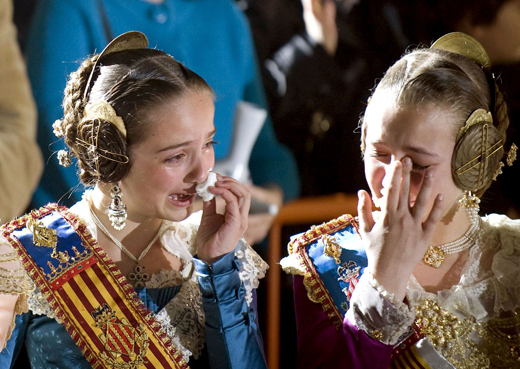 A popular theme is poking fun at corrupt politicians and Spanish celebrities. The work intensive ninots are crafted by neighbourhood organizations and take almost the entire year to construct. Each year, one of the ninots is spared from fire destruction by popular vote. This ninot is called the ninot indultat (the pardoned puppet) and is exhibited in the local Museum of the Ninot, along with the other favourites from years past. 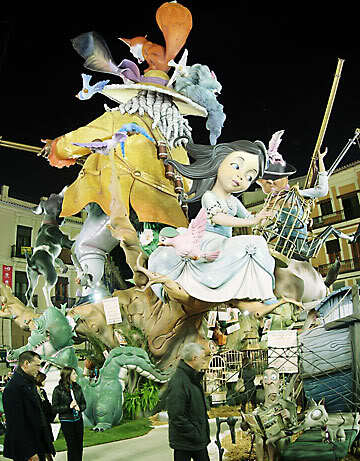 On 1 March in Valencia, the first call will ring out for Las Fallas. Every day from 1 to 19 March, exacly at 2 pm. 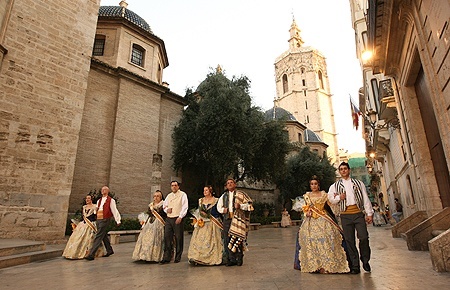 the Mascletaes, rhythmical explosions of gunpowder, will fill the Plaza del Ayuntamiento with tourists and locals alike, who all flock to enjoy the noisy spectacle. 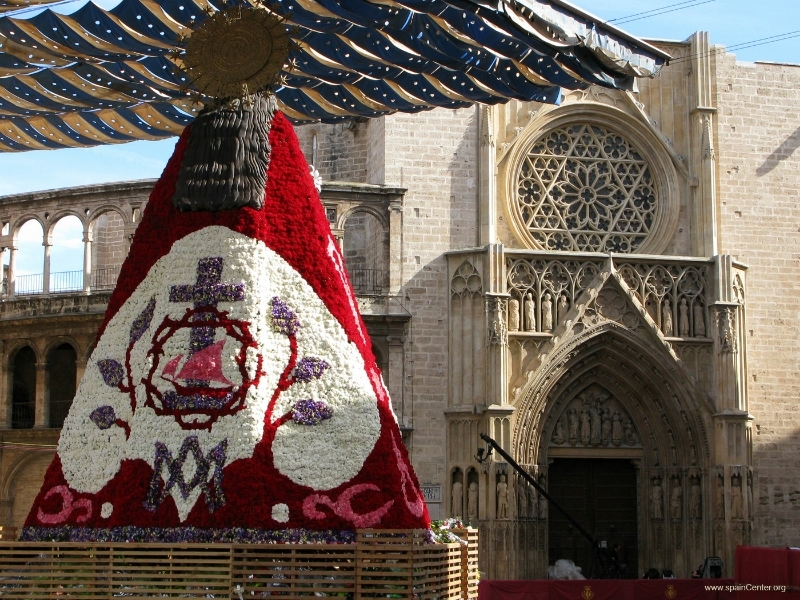 The Semana Grande (big week) begins on the 15th with the traditional Plantà: when more than 700 monuments are erected throughout the city’s streets, and fireworks displays are set off next to the Turia’s dry riverbed. 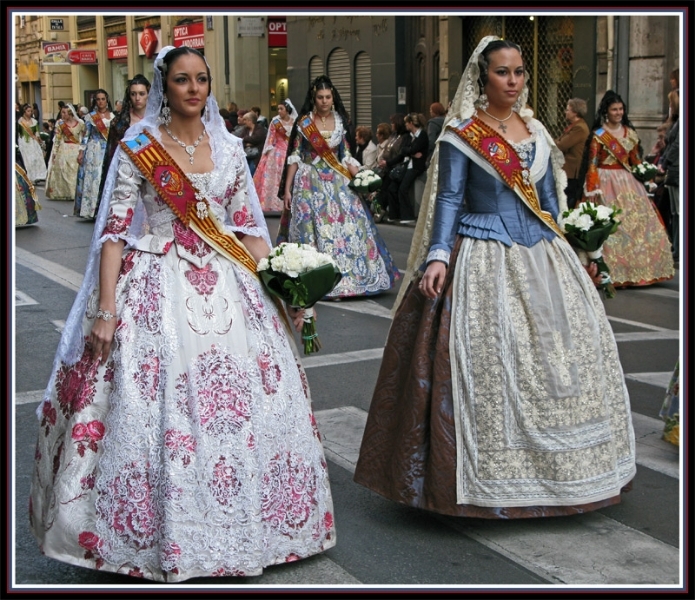 However, the most eagerly anticipated days are, without a doubt, the 17th and 18th; two days during which thousands of Valencians dress up in their finest regional costumes made from natural silk, to leave bunches of flowers at the Ofrenda de Flores a la Virgen de los Desamparados (Offering of Flowers to Our Lady of the Forsaken), the most moving part of the celebrations, when white, pink and red carnations form the cloak of the city’s patron saint. 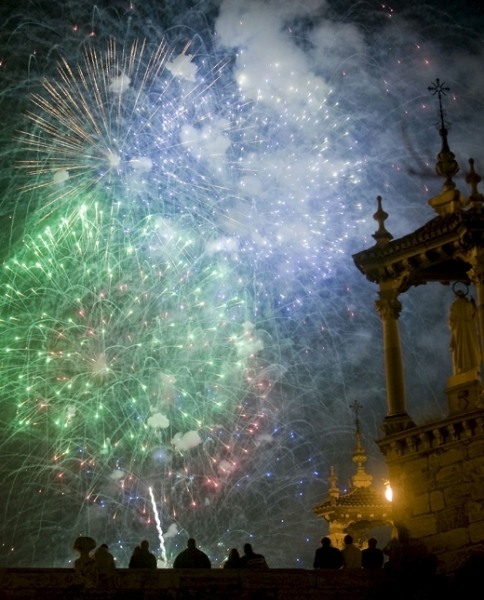 Finally, the festivities culminate on the night of March 19 th (St. Joseph’s day, the patron saint of carpenters) the day known as La Crema (the burning), when, at the stroke of midnight, the purifying fire ends the short-lived beauty of The Fallas, the street lights are turned off and all of the monuments are consumed by flames provoking a few tears at the end of another natural cycle in welcome of Spring. When autumn arrived and the days became shorter, artisans were able to continue their work by the light of crafted wooden lamps known as parot, estai, pagés, pelmodo or perniodol, providing light for apprentices, journeymen and master craftsmen to continue working. 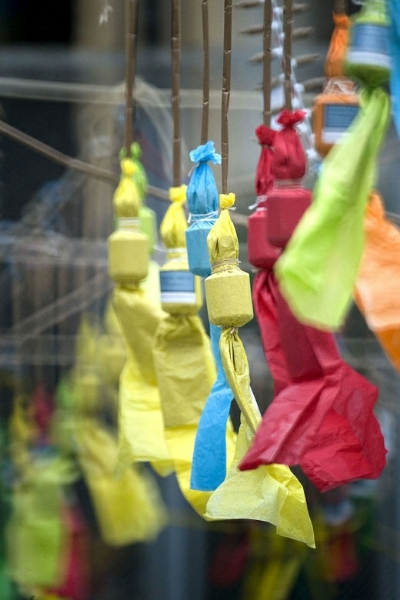 In the spring, as the days became longer, the lamps were not needed and were ceremoniously burnt at the workshop door. To this small fire the craftsmen added off-cuts, wood shavings and leftovers from around the neighbourhood. 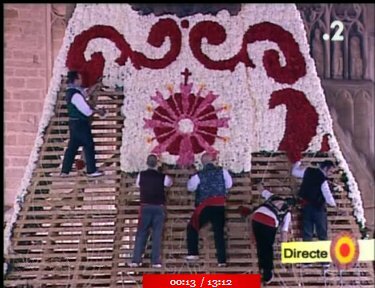 The old lamp was placed in a vertical position in the centre, decorated with old rags and a hat, giving it a human form – the Ninot Falla. 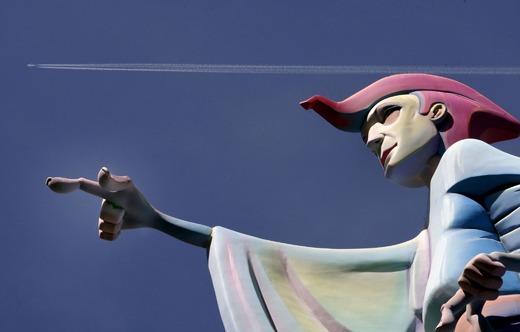 This was how the Ninot came about. 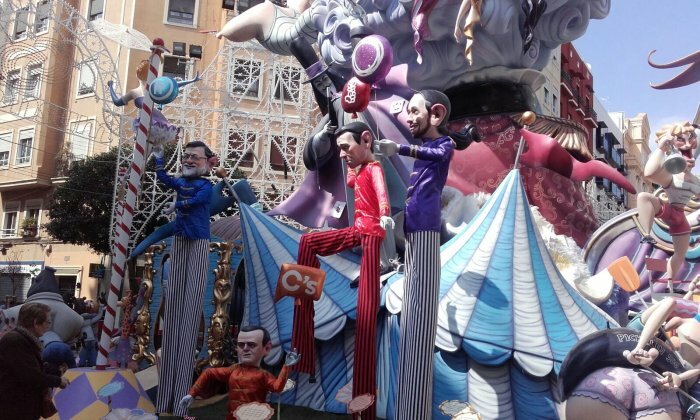 The only thing then was for the Ninot (a caricature of any local, national or international figure) to be put on top of a pedestal for all to see and laugh at. 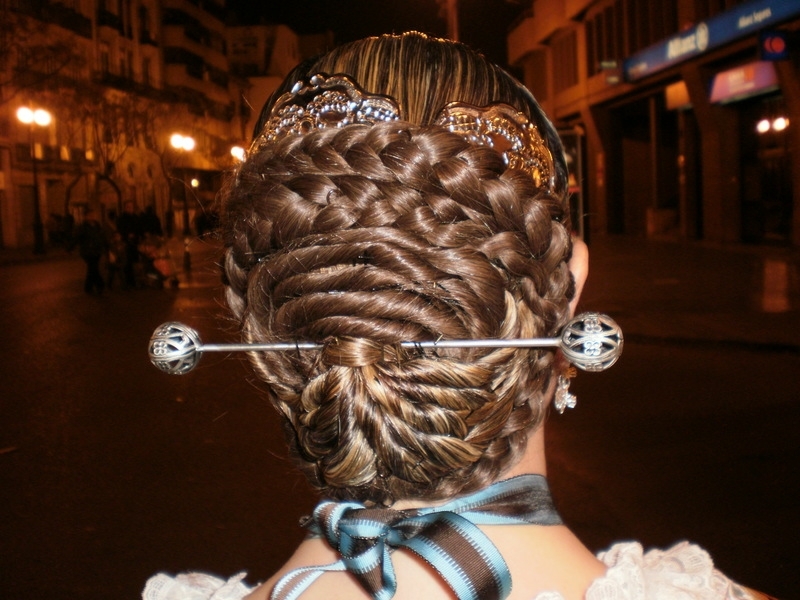 When these things come together, we have an authentic Valencian Falla. 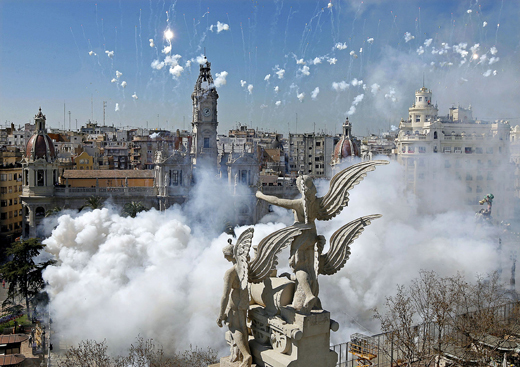 On 1st March, the first of the mascletas (an explosion of firecrackers) in the square in front of the City Hall announces the start of the festival period, although the most important events begin on the 16th, by which time the city has been decorated with over 700 symbols and figures. 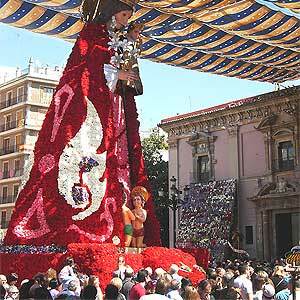 Throughout the day, mass gatherings take place including the despertas (a firecracker wake-up call to the neighbourhood) and magnificent firework displays. 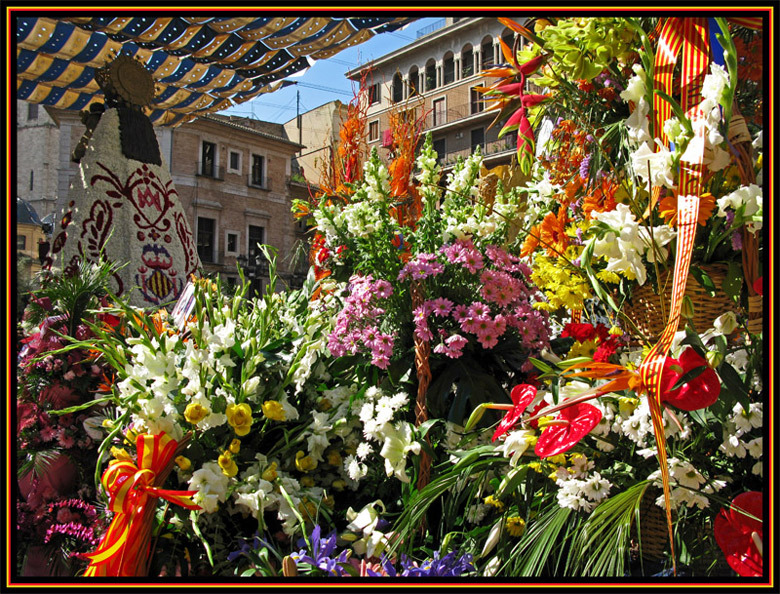 The biggest and most spectacular event is the Ofrenda de Flores a la Virgen de los Desamparados (a floral offering to our Lady of the Forsaken). 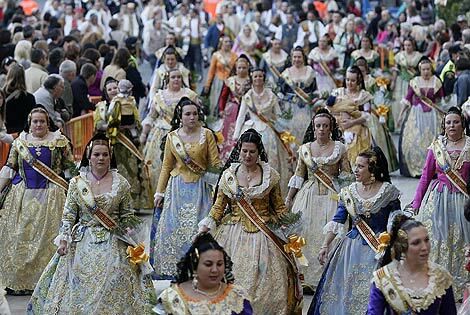 On 17th and 18th March, from 4pm until nightfall, there is an enormous multi-coloured parade with the members of the Fallas wearing their marvellous, intricately decorated, traditional costumes and carrying bunches of flowers as an offering to their Patron San José. 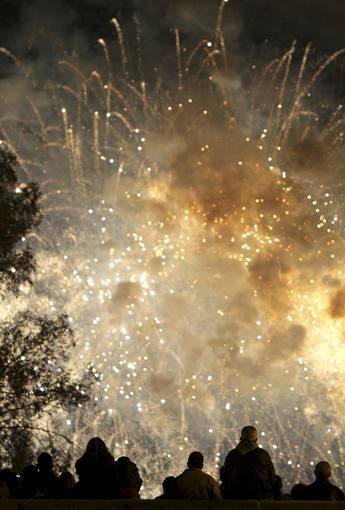 At midnight on 19th, the dramatic closing act takes place. 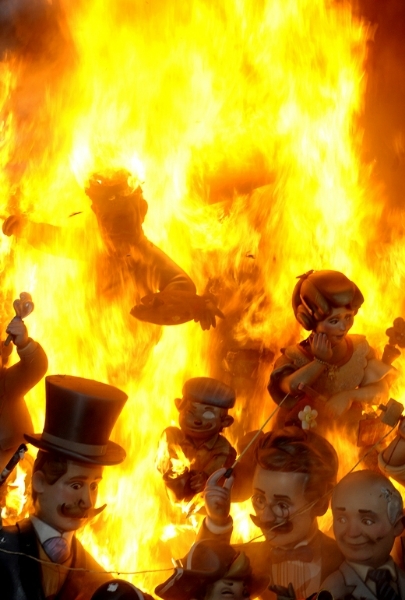 All, except one ninot chosen by the people from all the different fallas, are set alight and burnt. 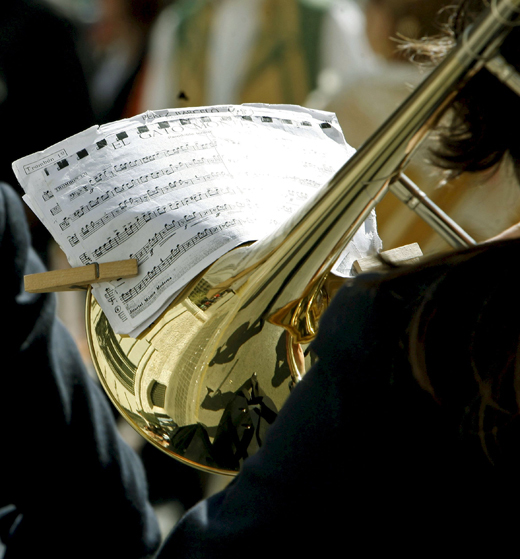 The development of the festival as we know it today began in the second half of the 19th century. 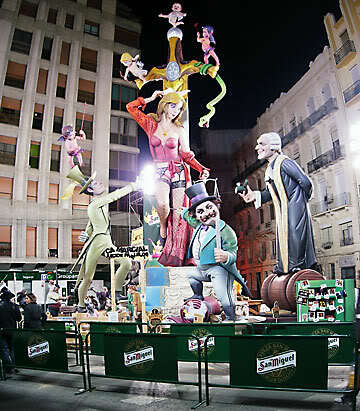 The fallas and ninots are ephemeral, ornamental and satirical symbols placed in the streets of the city as a humorous social or political comment. 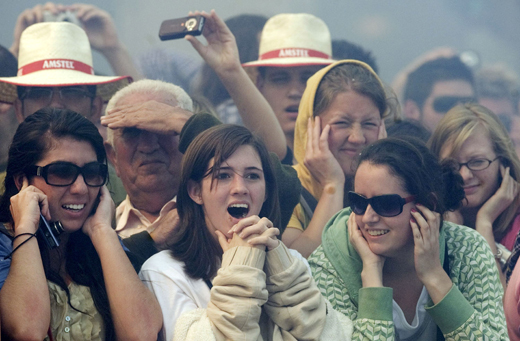 They may be human, animal or vegetable in form, portraying a critique of a local, national or international incident, personality or character. 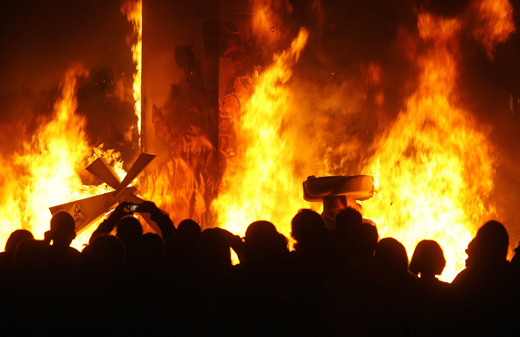 There is great irony involved and the ceremonial burning is an act of purification that takes place at midnight on El Día de San Jose (St Joseph’s day). 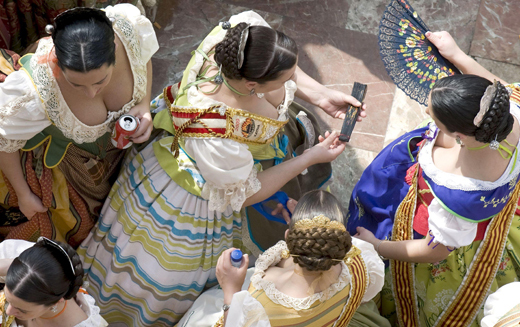 The fire is the festival; a graphic symbol of joy and happiness that dominates all events that take place during the Semana Fallera (Fallera Week).